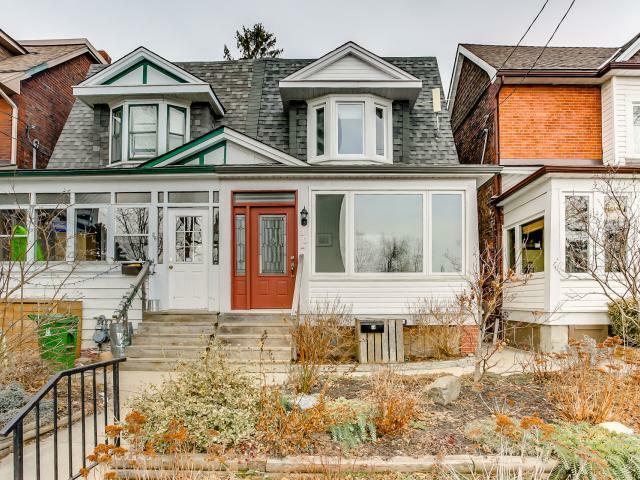 Wonderfully updated home in the heart of Riverdale! 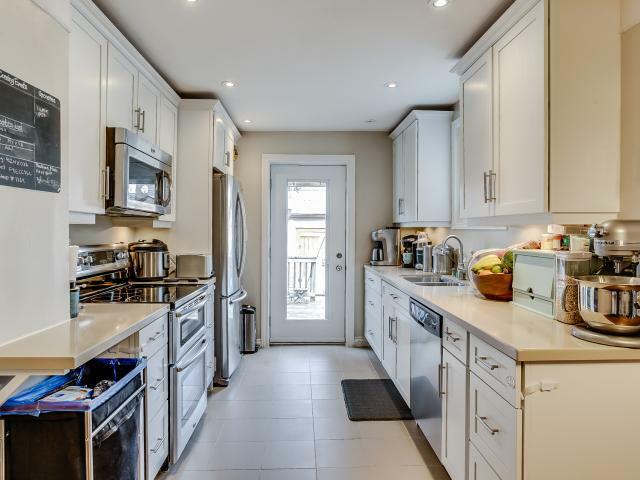 Just steps to the Danforth, Broadview TTC Streetcar & Subway, Riverdale Park, & within the coveted Frankland School District. This lovely home features a great mixture of original charm and modern renovations. The main floor features hardwood floors with good sized living & dining rooms. The completely renovated kitchen is open to the dining room and features caesar stone countertops, high end stainless steel appliances, new cabinets, tile floor, and excellent of natural light. The master bedroom has large bay windows and shares the second floor with the other bedroom and updated 4 piece bathroom. The finished basement has good ceiling height, cozy rec room, 3 piece bathroom & bedroom – perfect for a nanny suite or guests. The backyard is delightfully landscaped with large wood deck & Weber BBQ with a dedicated gas line.